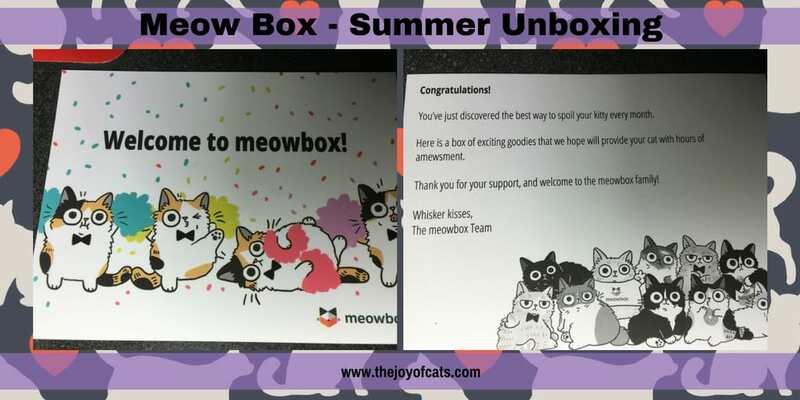 At the end of the video, I mentioned that I would determine what month this MeowBox was for as they usually send out the boxes on the 15th of the month. I signed up on July 27 and a box was shipped out within a day or two. ​While I was researching for this post, I discovered the items from my box were not all from the July box. There were some from July, June, and A﻿﻿pri﻿﻿l and some I could not find in a previous box. I'm assuming since I signed up in between boxes, that the box contained leftover items from previous boxes. 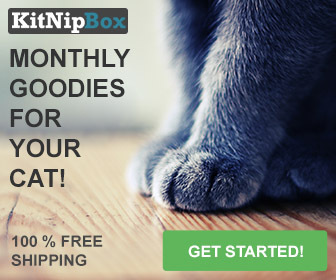 I like this idea as it means the first box comes right away when signing up. ​I also realized I was not shipped the August box (I was not charged for it)! I signed up for monthly subscription, but when I log into my account it says it will not renew until October 1, 2016. I have sent an email to get help. This will be my first time to interact with their customer service. Buster is in background and totally not interested in the box. He doesn't seem to notice what is going on throughout the entire video! What a character. 0:30 - I love the name of my cats on the box lid! The personal touch is very nice and appreciated. 0:40 - Either J﻿a﻿﻿k﻿﻿e or Elwood (since they are twins, I'm not sure which one was being nosy) walks in front of the camera or moves it around a few times during the video! 0:57 - Violet's back and tail are visible for the first time. 1:20 - I haven't used the bag yet. I like practical items. After my discover that this wasn't the July 2016 box, I'm wondering if they didn't have other extra toys to throw in! 1:50 - Moewbox logo toy. When I opened the box, it didn't seem like it had catnip it it. Now, it's been a several weeks and I'm not able to find it to verify one way or the other. 1:58 - I like the purple toy because purple is my favorite! It's from Vermont homegrown organic catnip toys. 2:26 - Flour's Garden hand made cat toy. I said it was "cute". My tone of voice may not have been convincing. I understand it better now that I know it is a tea bag as noted on the April box list. 3:28 - Puff and Squeak ball. 3:40 - Lina passes by in background. 3:45 - The Fortune cookie was the cutest toy in the box. The OH from CatsStuff OH means Ohio as the Esty shop appears to be in Ohio. 4:40 - Some of the toys shown when I moved camera to show the cats are from the KitNip Box and other toys we already owned. The card doesn't list what was included. This may be because it was my first box and contained random items. This welcome card is cute!